Dr. Kleinman received his B.S., M.D. and Ph.D. degrees from the University of Chicago in 1966, 1973 and 1974, respectively. His graduate studies with A. Heller and P. Hoffmann involved the effects of monoamines on carbohydrate metabolism in the rat brain. Dr. Kleinman did an internship at San Francisco General Hospital and residencies in psychiatry and neurology at Massachusetts Mental Health Center and George Washington University, respectively. 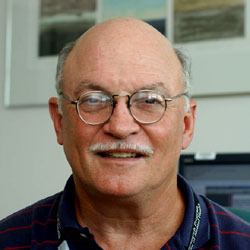 He is a past President of the Society of Biological Psychiatry and a recipient of the A. E. Bennett Award and an Outstanding Service Medal from the U.S.P.H.S. His laboratory explores the neuropathology of schizophrenia.